Gem Diamonds’ revenue for the first half of the year totaled $167.7 million – up 81% year-on-year. According to IDEX Online, the meteoric rise is attributed to the “recoveries of large, high quality diamonds at its Letšeng mine in Lesotho as well as the discovery and subsequent sale of the 910-carat Lesotho Legend for $40 million”. During the period, Gem Diamonds recovered a half year record of 10 diamonds greater than 100 carats and achieved record rough tender revenue of $169.2 million (compared with $88.8 million in H1 2017). The average price per carat was $2,742 – up 54% year-on-year. 25 diamonds sold for more than $1 million each. Gem Diamonds recovered 61,596 carats (compared with 50,478 carats in H1 2017). 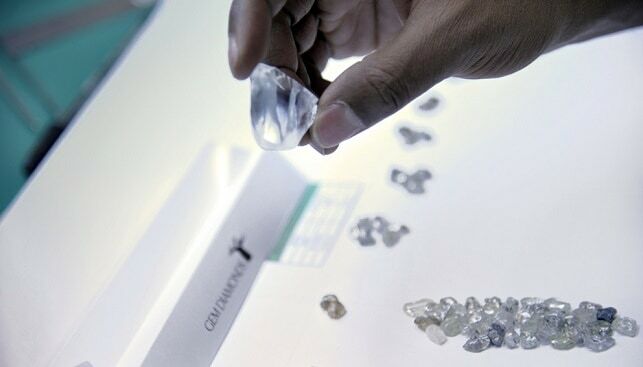 Clifford Elphick, CEO of Gem Diamonds, said that the company’s recoveries of large stones up until August “positions 2018 as a record for recoveries of diamonds greater than 100 carats in a single year”. He added that the “market for Letšeng’s high-quality diamonds has remained robust”.